Nicola Harvey–Rowley has been passionate about designing from an early age. Her inspiration and flair was developed from admiring period costume in TV dramas and the theatre. Numerous awards and more than two decades later, the company has grown considerably and is now supplying handmade couture gowns at selected stockist’s all over the UK and Europe. 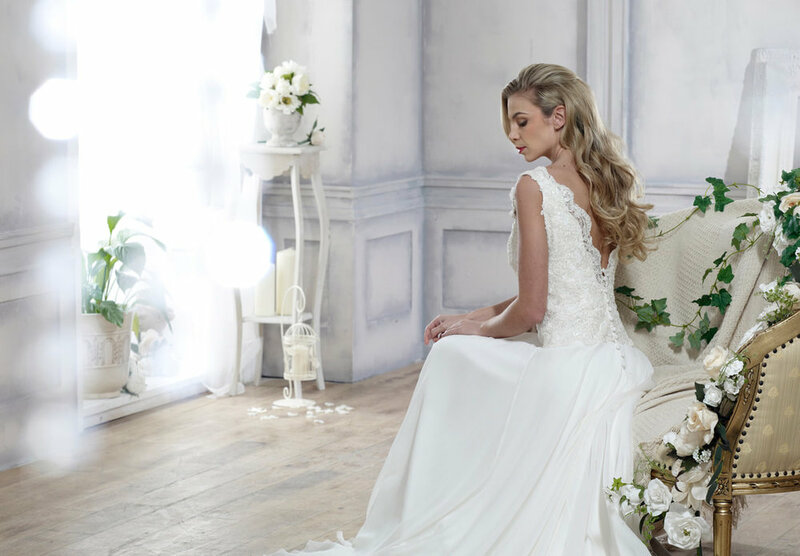 Every one of Nicola’s gowns is designed and handmade by a dedicated team of seamstresses in Hinckley, Leicestershire with an exceptional high standard to quality and detail. Nicola Anne is a couture designer bridal wear label that has been established for over 20 years. Everything is done in house which gives them the opportunity to offer a unique and bespoke service on a range of gowns.